UNISEX - Simple yet elegant Unisex style is great for everyone: men & women alike! ONE SIZE FITS MOST - Perfect fit for everyone: measuring 53 inches long with a horizontal sweep of 63 inches. 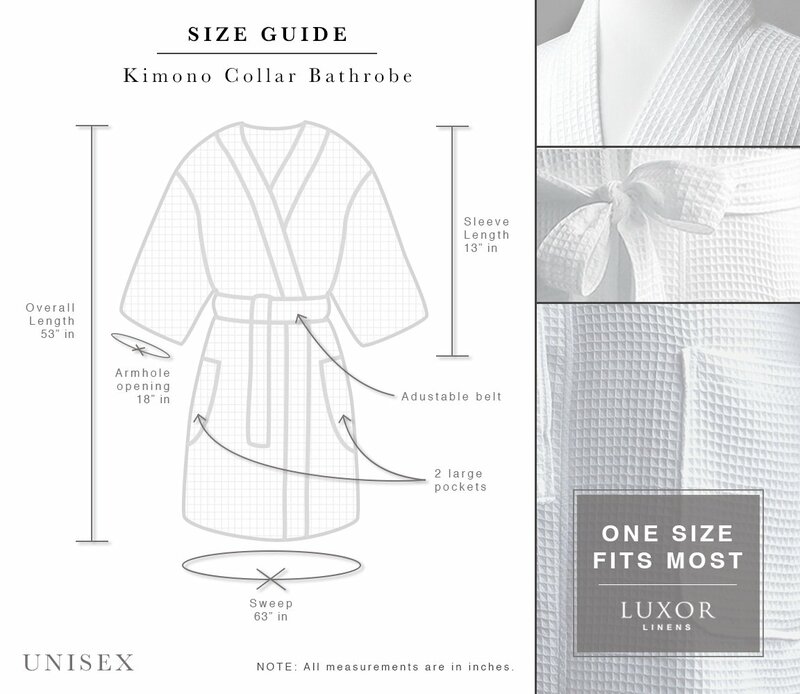 The sleeves measure 13 inches. 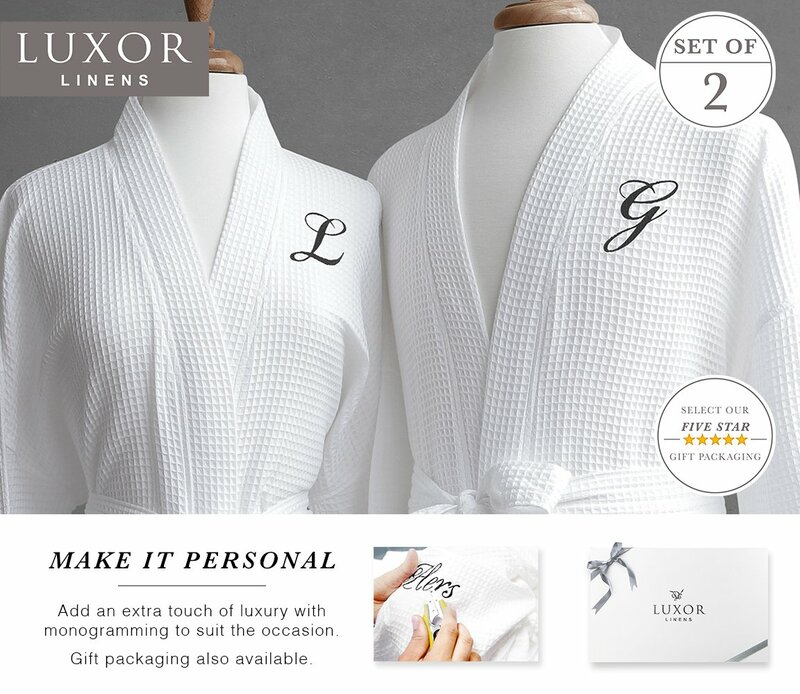 CUSTOM MONOGRAMMING - Up to 10 characters. Great for customized gift giving! SUPER SOFT & PLUSH - Waffle Weave is super soft and comfortable. Lightweight design is great for year-round use! 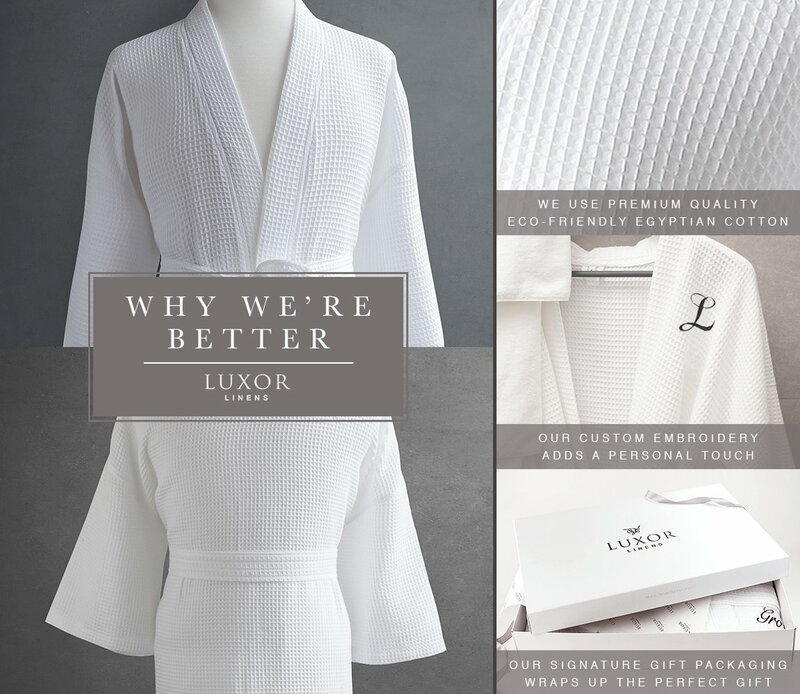 GREAT VALUE - Click the "Add to Cart" button above and swaddle yourself in our Luxor Linens Waffle Weave Ciragan Collection Bath & Spa Robe! 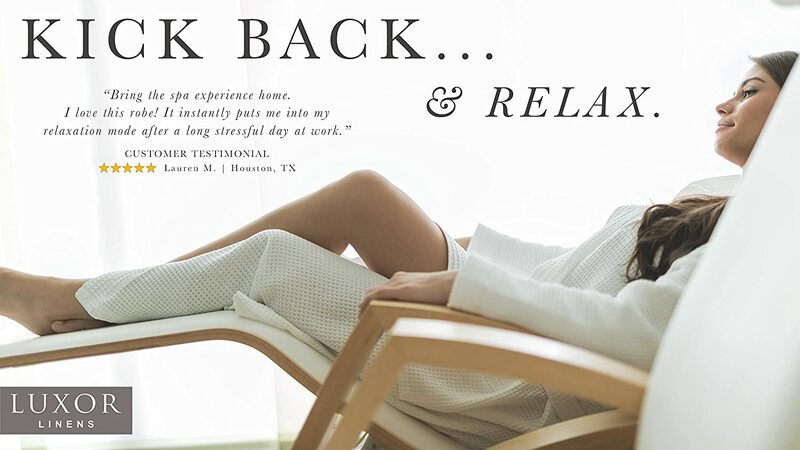 Enjoy spa-like comfort from the sanctuary of your own home. 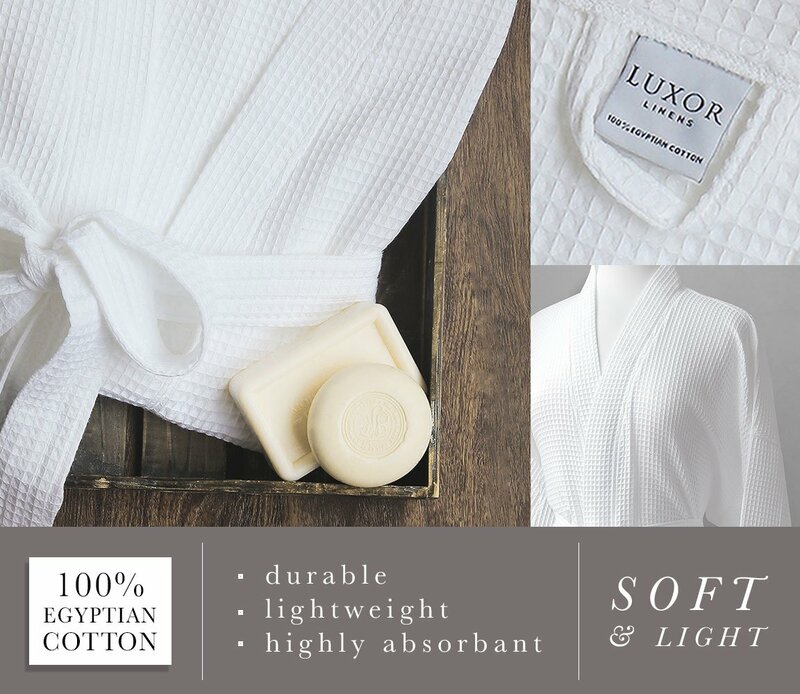 Crafted from 100% Egyptian Cotton into a textured, waffle weave, this robe will be durable and absorbent. 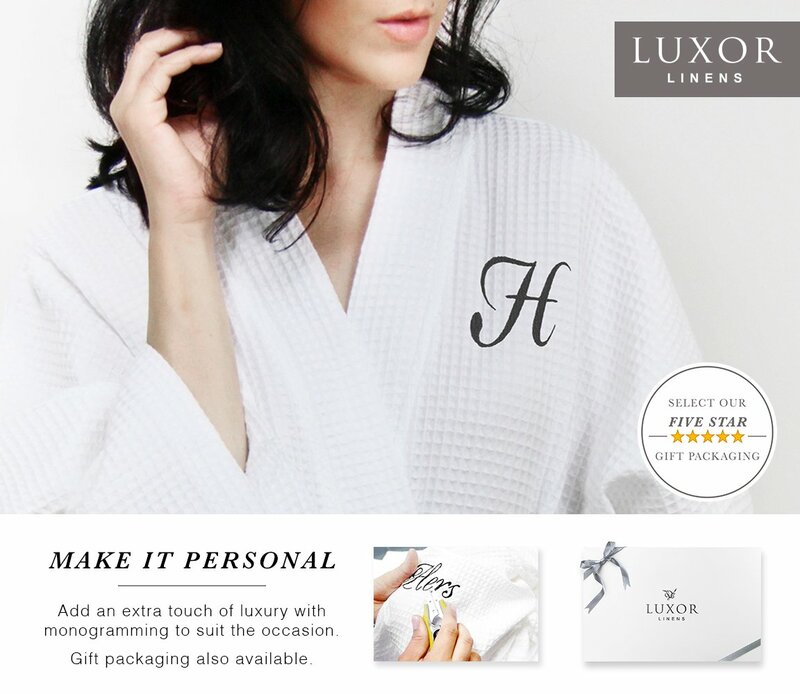 So luxurious you might never want to take it off! Perfect for men or women, it makes a great gift for yourself and your partner. 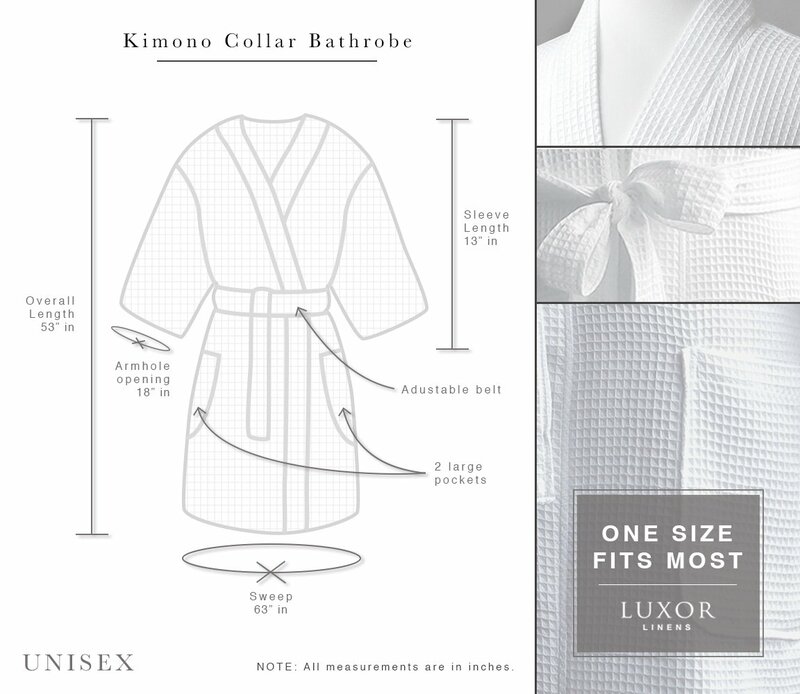 Measurements: Length: 53 inches; Sleeve length: 13 inches; Armhole circumference: 18 inches; Horizontal sweep: 63 inches. Machine wash and dry. 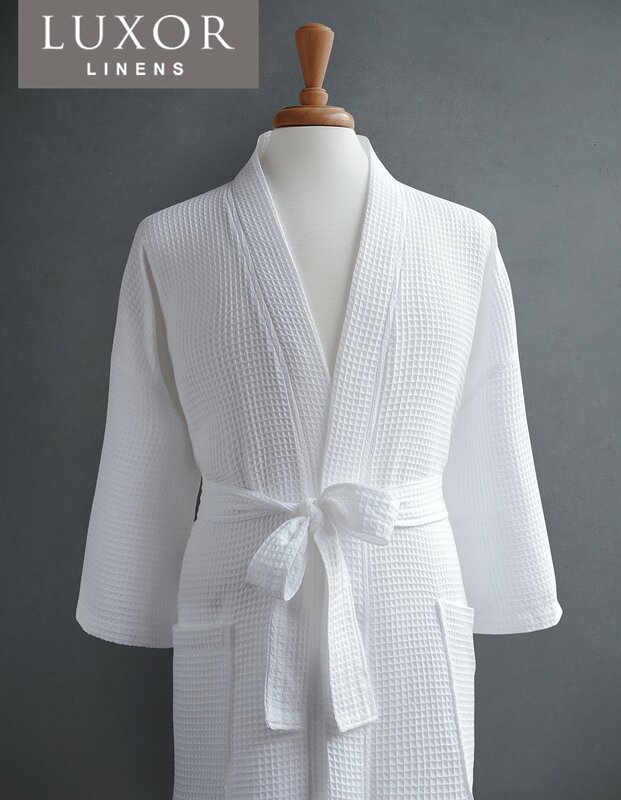 I own a Sferra robe that cost $85.00 and is soft and luxurious, even after years of washing. 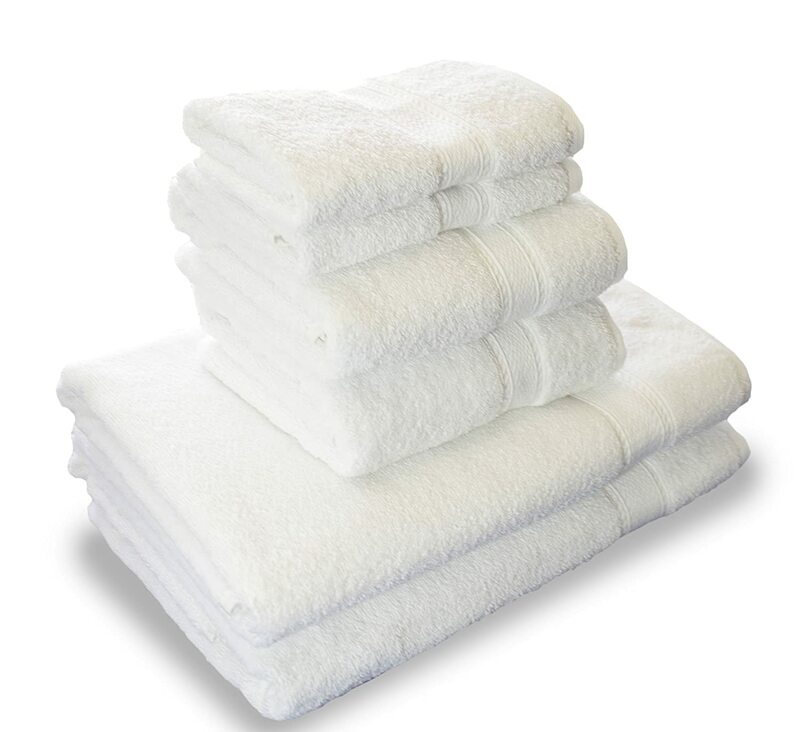 This rag is made of the cheapest cotton, it may be u201cEgyptianu201d cotton, but of the lowest grade. It is anything but soft, in fact it is dry and rough on the skin. This inferior cotton material is suited for dish rags. I love this robe. It's super lightweight yet incredibly absorbent. It launders beautifully -- no shrinkage and is wrinkle free out of the dryer. It also arrived very quickly, sooner than I expected. 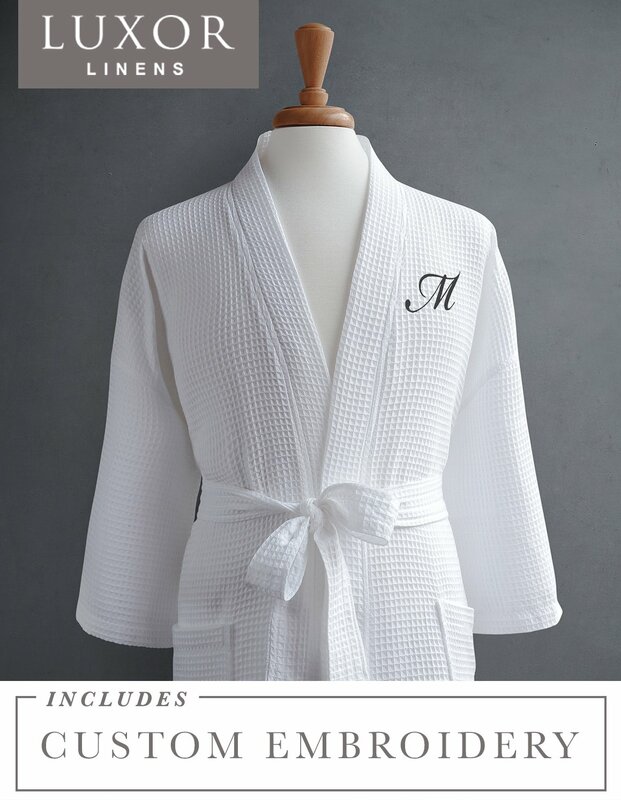 My husband and I both like this robe. 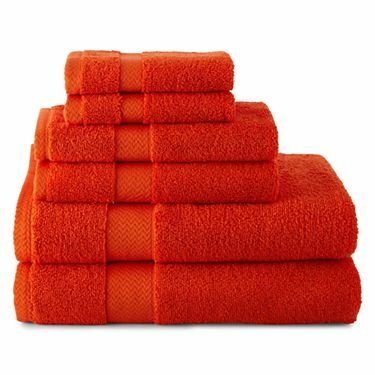 Itu2019s soft and absorbent, perfect for just out of the shower. 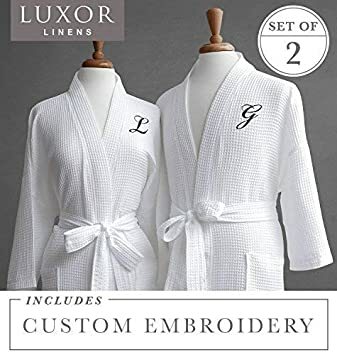 Terry robes can be heavy and bulky, but this robe isnu2019t either of these. 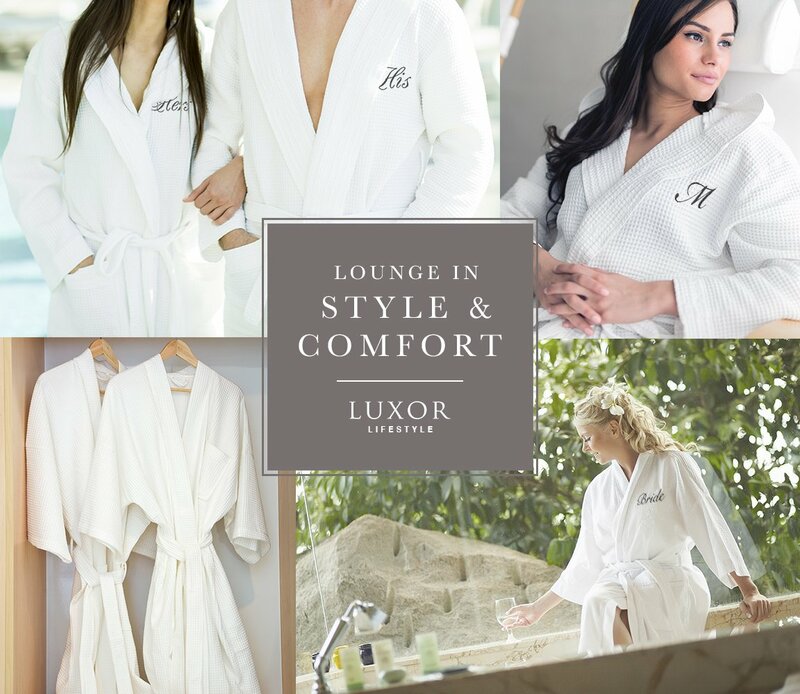 While lighter than a traditional spa robe, itu2019s just right for spring and summer weather. The sleeves are not full length, so they donu2019t get in the way. Iu2019d definitely buy this again. 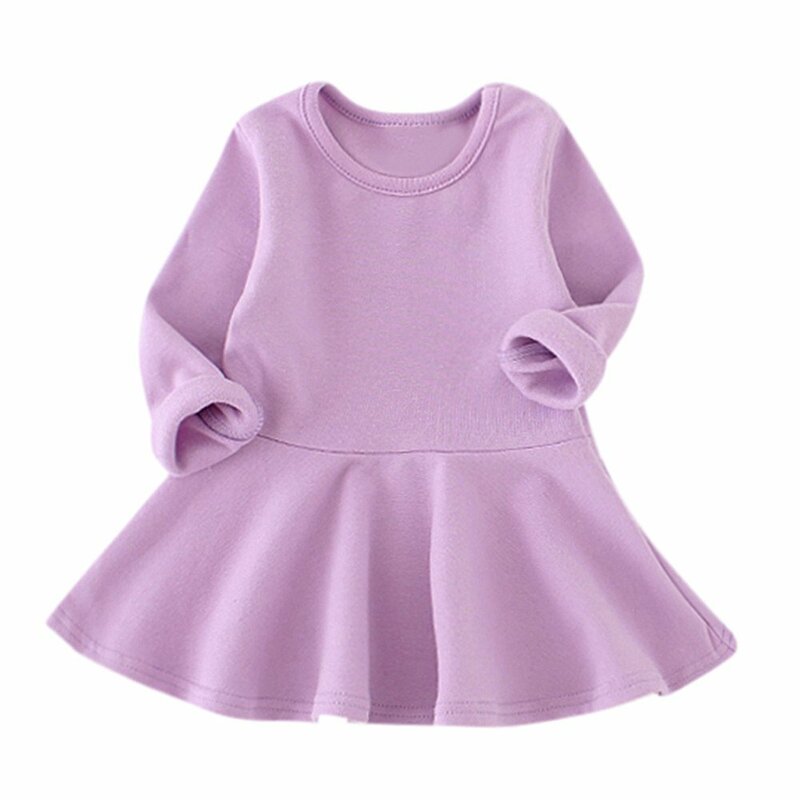 The sleeve length that we received is not long sleeved as shown, it's less than 3/4 sleeve, and my daughter didn't like that. Material is a decent quality. I Have not washed it yet but so far I love it. love it. Love it. Cool, comfortable, large enough for me (med sized f). 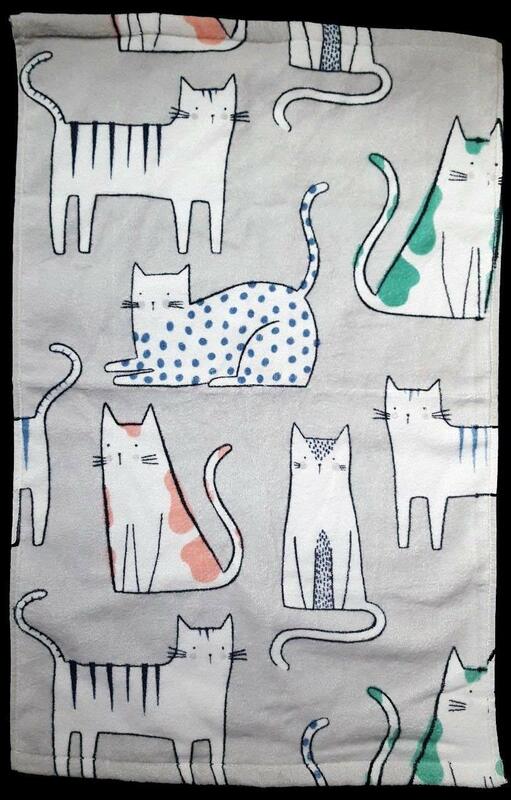 I asked my husband if he wants one and he said no which dissappiinted me because my real intent was to confiscatee because his when mine is in the wash which it will be because it is true white and I intend to use it a lot drinking my morning coffee. If I still like it this much after a wash or two I will probably order another. Perfect for FL. As advertized as far as I can tell. 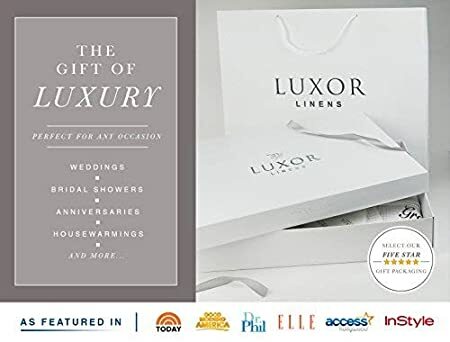 After I read reviews, I bought one for my husband. I liked the quality of this robe. If there are more choices for the size of this robe, I would buy one for me and my family as gifts. And it would be five stars. I understand that it is hard to please everyone with product which one size fit everyone, but I wish you have more choices for the size.Then It would be good candidate for gift items.